The remote trigger lets you use a common remote control with your modules. 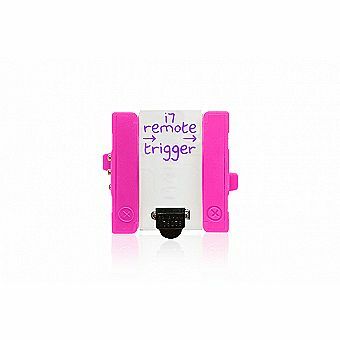 Make your littleBits circuit and point your remote control at the remote trigger’s sensor. Then, press any button on your remote control to activate the module. The remote trigger will work with almost any button on a remote that uses infrared light to send signals.